Brown Pundits – Page 177 – a discussion of things brown…. 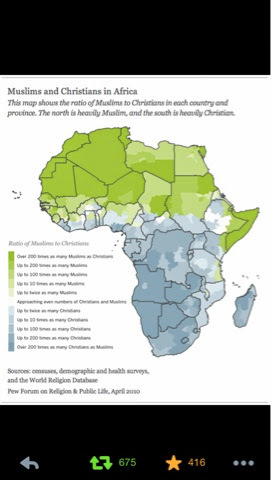 The Eritrean-Ethiopian highlands are the major Christian exception to the rule (I believe their religion is that of the Copts with the same exceptionalism) whereas the mercantile Arabs were able to spread their faith to the south eastern coast. Africa is a continent apart – I just arrived in Nairobi for the weekend and I’m very impressed by it – some areas more than trump the subcontinent. 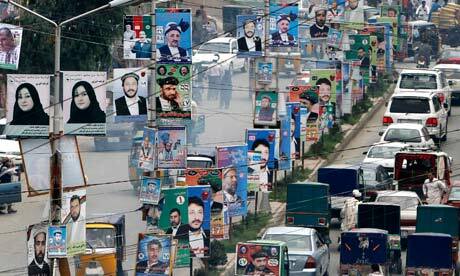 Election 2014: Death Knell of Strategic Depth? 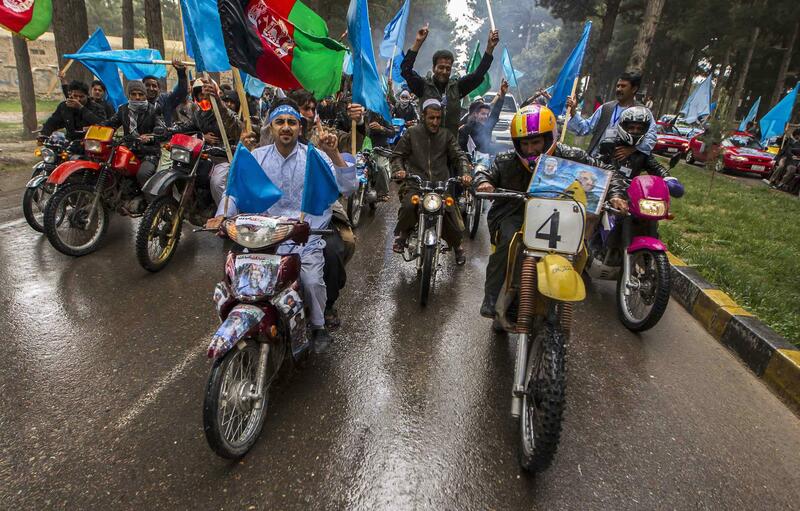 Afghanistan has voted. And wow, what a lot of voting there was! Millions of Afghans turned out and voted in an election where a vote for anyone was a vote against Mullah Umar and his backers. Now it may be that the results will not be accepted, that the winners will fight each other or that the good feeling will evaporate as some future Taliban offensive shakes the state. But if the results are credible and are accepted, then it may well be (to quote journalist Tahir Mehdi) that April 5th 2014 will be to strategic depth what December 16th 1971 was to the two-nation theory. Of course, one may then point out that the Two Nation theory has had a very healthy Zombie existence since 1971. But even the healthiest Zombie is still a Zombie. Dying is forever. This question came up on twitter: was this election a success because Afghan security forces and ISAF did a fantastic job and the Afghan people rejected Mullah Umar? or because Pakistan was paid (and paid well) and agreed to permit a peaceful election? I suspect a bit of both. But either way, it does not alter the significance of the event. Whether Pakistan’s Taliban allies are just not strong enough to disrupt elections or whether Pakistan has sold them out for money. its all the same as far as strategic depth is concerned. Its over. PS: I have already heard from people on twitter that this will not lead to milk and honey and a civil war is coming. But please note, I said nothing about those things. All that may be true. But strategic depth was a different story. The story was that Afghanistan is waiting for Americans to leave and then our boys walk in and eject the “mayor of Kabul”. That doesnt seem to be the story at all. “Our boys” didnt look as strong as advertised. And unless they are the dominant and strongest party, strategic depth is dead and strategic nightmare awaits. Perhaps Mohd. Musa is truly an evil murderer…in his past life. Amidst the mountain of justly deserved scorn save a molehill of pity for the police in SAsia who need to please their fickle patrons. Now that the cat is out of the (media)bag a (scape)goat will be arranged and (unjustly) punished for no fault of his own. 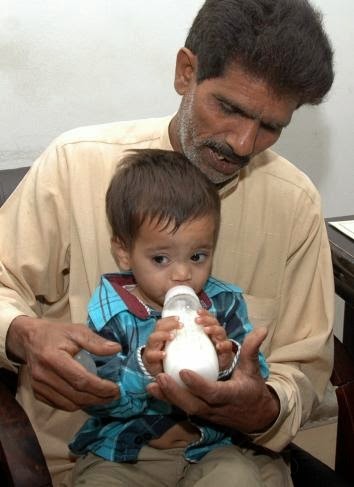 police officers responsible for writing up a nine-month-old, reports The Nation. A policeman has since been suspended. Koyal Rana from Jaipur is a very beautiful lady but perhaps not truly representative of India (in terms of skin color). We wish her all the best in her quest to win over the world. The Ranas (=Raja=king also, Rani = queen) were originally Rajput kings from Rajasthan, Maha-Rana Pratap Singh for example hailed from the Sisodia dynasty of Udaipur. Facing Mughal onslaught, the Ranas scattered in the direction of the hills (and to the rest of India), and were rulers of Nepal till recently. The Economist will not vote for the Man even though they may admire his (economic) policies. is a joyous cacophony of peoples and faiths, of holy men and rebels. nor how Muslims, in turn, will react to such a divisive man. have to recommend it to Indians as the less disturbing option. The accusation is that the husband sent a blasphemous SMS from his wife’s mobile. Even if this is the whole truth and nothing but the truth, why is the wife being implicated in the crime and condemned to death? …It appears that the rate of death sentences will keep accelerating until there are no more minorities left to attack. From that point onwards the only victims of blasphemy will be muslims. Incidentally the couple belong to Toba Tek Singh town, made famous by Sadat Hasan Manto. At this point it is fair to say that the lunatics are in charge of the asylum that Manto had envisioned. town of Toba Tek Singh on Friday, defence lawyer Nadeem Hassan told AFP. text message which he said was insulting to the Prophet Muhammad. Hussain accused the husband of sending the message from his wife’s cellphone. they could not have sent the message. There is no soft way to say this: brown Hindus need a white sister to help them out in face of virulent opposition from the likes of Syed Bukhari and John Dayal in India and Katherine Mayo (aka Katrina Lantos) in the west. A saffron salute to her courage in standing up for defence-less and powerless Hindus at home (America) and abroad. monitoring the situation in India. She said the USCIRF has long been concerned about the BJP’s and Modi’s close association with Hindu nationalist organisations. impact the status of religious freedom in the country,” she said. alleged that its goal is to influence the Indian elections. Breaking news: a Chinese ship might have just detected the black box from MH-370. If so it will be nothing short of a miracle (aided by modern technology that tracks a plane even when some murderous idiot has switched off the transponders). Let us hope for the best (only 3 days are left before the signal is switched off). days, meaning they will shut down in the next three days. Officials said the multinational team has entered the most intensive phase in the search operations. the signals, which were not recorded as they came suddenly. standard for the underwater locator beacon on a plane’s black box. Also, a Chinese air force plane searching for the jet spotted a number of white floating objects in the search area today. The plane photographed the objects over a period of 20 minutes after spotting them at 11:05 local time. China’s state-run CCTV reported the ship’s crew detected the signal and alerted both Chinese and Australian rescue centres. The signal was heard this afternoon by the ship’s crew and it lasted for one and half minutes. that could further help the search team to narrow down their operation. Kumar Sangakkara and Mahela Jayawardane are loved by millions of cricket fans. They are gentle off the field but ferocious warriors on it. The ICC T20 World Cup ongoing in Dhaka, Bangladesh will be a fitting farewell to those legendary batting arms. May the best team win!!! finals in 2007 and 2011 and the World Twenty20 finals in 2009 and 2012.
offered by officials back home will further inspire the Sri Lankans. IOO map is not well thought out….India (and South Asia) is much more religiously diverse than Canada (or Australia) for example. Also in our opinion the religious diversity in Islamic countries and in particular Iran is undercounted (Bahais for example may fear exclusion). but its population makeup keeps it ahead of 48 nations. and all other religions less than 0.1 per cent. 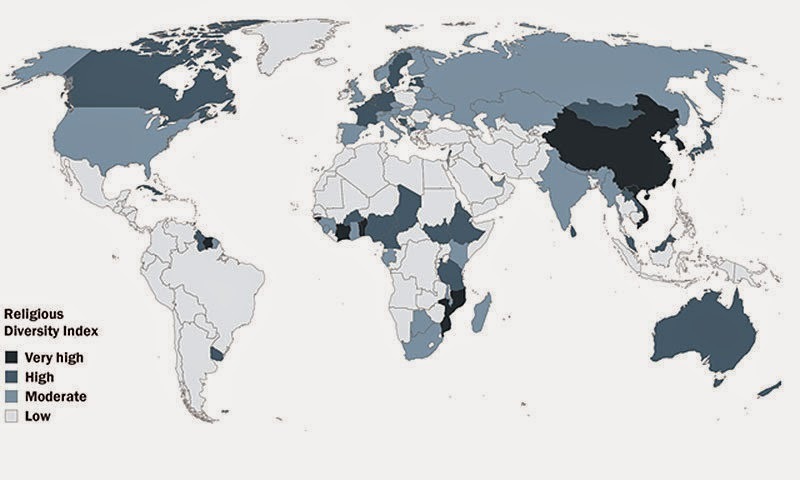 equal share of the population. China 7.3, Hong Kong 7.2, Benin 7.2, Mozambique 7.0.
of 4.0, India ranks amongst countries with moderate religious diversity. Romania, Tunisia, Timor-Leste, Somalia and Afghanistan.